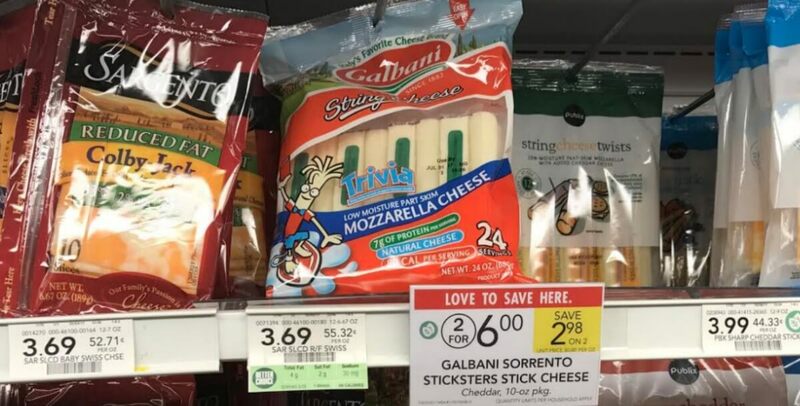 Through 5/17, Publix has Galbani Sorrento Sitcksters Stick Cheese on sale for 2/$6. We this high value $2/1 Galbani Snack Cheese item 6oz+coupon from 5/7 Smartsource available right now. Use it to get the pack of this snack for only $1. What a great discount!